" Only a Mother Can Give What She Does Not Have . " That just about sums up the role of a mother in the lives of her children. 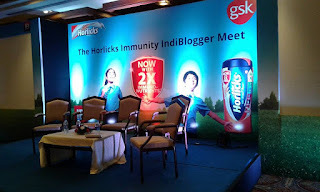 To pay tribute to her existence and to reinforce our faith in her, Indiblogger in association with Horlicks, organised a bloggers meet on Mother's day. 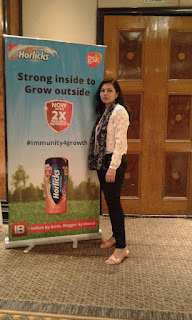 "An evening with national and international experts on the subject of immunity, and its implications on growth in children" proclaimed the homepage which had the mommy in me going hook, line and sinker. Yes, we mommies are an obsessed and somewhat desperate lot when it comes to the well-being of our children . While I had marked my calendar for 8th May on the very day I saw the first update, the venue ( which was disclosed later ) had me thrilled. After all, it was going to be my first visit to one of the most prominent landmarks of Bangalore. Dare you miss it on a visit to MG Road ! 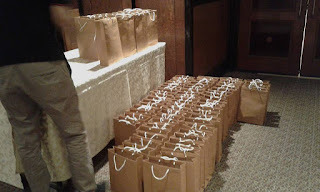 The wait to the event was the tough part and I actually used this time to reconnect with most of the bloggers whom I had met during the previous IndiMeets. On the big day, I shared a cab with few of my blogger friends to travel to the venue ( economical and great for the environment ) and we walked into the lobby a few minutes before showtime. A feeling of happiness washed over me as I spotted quite a few known faces in the crowd. Some of us were catching up after a long time and the 'Hi's and Hello's' were high on drama. Inspite of being digitally well-connected, networking in person still retains that old world charm that makes us go misty eyed. The Check-in for the event turned out to be quite smooth thanks to the electronic passes issued by the Indiblogger Team. The seating was comfortable with small tables ( 7 - 8 persons ) spread out over a large area. I am always happy when I get into these kind of settings as opposed to rows and rows of chairs. It allows for much better interaction and I can always get up and walk over to another table whenever I spot a familiar face. 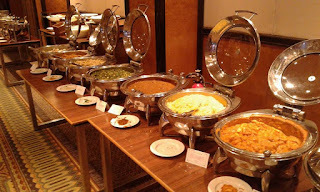 There was a fascinating mix of food, travel and lifestyle bloggers for our table. Once the conversation flowed, we had the rare opportunity to catch glimpses of the person/idea behind the blog. As always, it was the spunky Anoop who got the event rolling. We were introduced to a fellow blogger but one with international acclaim. Jill Castle, America's Childhood Nutrition expert is a woman who wears multiple hats. Mother of 4, author, blogger and a registered dietitian/nutritionist, she calls for a holistic approach towards the subject of nutrition, especially in the age group of 5 to 14 which is the time when children grow to their full potential. For the first time, we were exposed to the issue of 'hidden hunger', which is all about malnutrition that exists at both ends of economic spectrum. The deficiency of micro nutrients hinders growth and affects immunity that leads to a child missing out on school attendance. She reiterated on the age old wisdom of including all the five food groups in one's everyday meal to get balanced nutrition. One of the shocking facts that she shared with us the repercussions of adopting the western diet. While the western diets looks seductive when compared to our traditional foods, we tend to ignore the fact that the western diet is rich in fortified foods and nutritional supplements are an integral part of their regimen. Sadly, India lags behind on these two fronts. Another very interesting information shared by her was the fact that pulses and cereals have inhibitors that hinder the absorption of essential micro-nutrients. This can be countered by the use of fermented cereals ( for example substitute rotis with breads or add yeast to the dough ) and by germinating the pulses before cooking them ( overnight soaking for example activates some of the enzymes that counter the effect of such inhibitors ). She detailed out multiple approaches that can be taken to tackle the issue of childhood malnutrition. 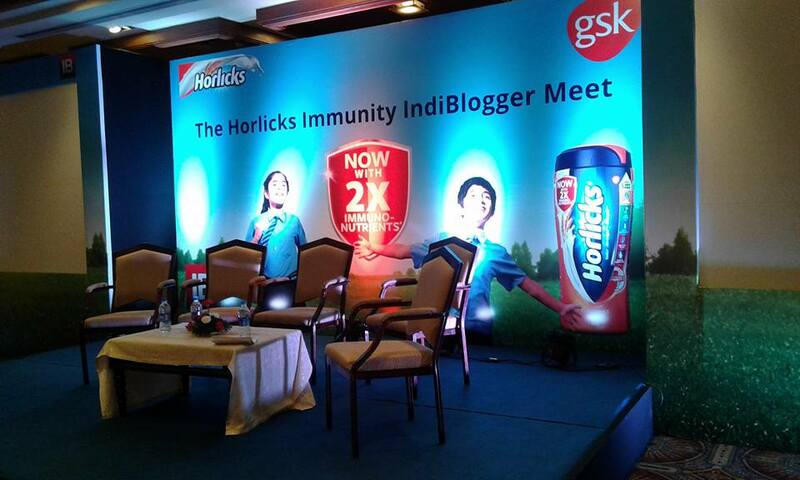 Taking the agenda forward, Amaan Khan, head of marketing GSK, outlined the role Horlicks has been playing in ensuring that children turn out 'Taller, Stronger and Smarter'. He pointed out the gaps in nutrition that led to children falling sick ( on an average 4 times a year and for 11 days in total ), The insightful data also pointed out that Indian mothers end up spending upto 850 rupees a month on children's medication. A steep price if you compare the cost of preventive measures like including a dietary supplement like Horlicks ( which is incidentally available in sachets that cost Rs 6 for 18 gms ) in their everyday routine. As a part of their CSR activities, Horlicks has been active in schools throughout the country for weeding out the primary causes of malnutrition. 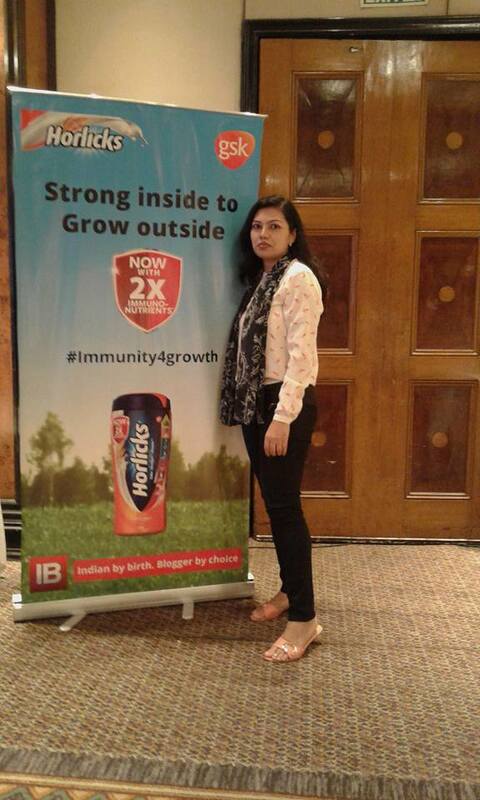 Combining these figures with their ongoing R&D efforts, they have relaunched Horlicks in a brand new composition that now has 2X the amount of selenium and Vitamin D along with other micro nutrients that are clinically proven to support immunity. This was followed by a panel discussion that had a team of eminent panelists taking questions from the audience. The need for a balanced diet was reiterated and meal compositions discussed to ensure that kids get enough nutrients. For example, idli by itself may not satisfy all the nutrient requirement but when combined with sambar and a vegetable chutney, it provides all the nutrients required by growing children. The importance of including fruit in one's diet was also explained to the audience. And then, it was time for a surprise quiz which got the audience thrilled. A few questions to jog our memory and test the listening skills had us going. The winners ended up taking home some cool vouchers whereas the rest of us just had to make do with a sumptuous spread which was a mix of delicious Indian and Lebanese dishes. It was followed by some mind-blowing coffee icecream and mango cheesecake for desserts ! The food was accompanied with more networking as we quickly exchanged URLs ,social handles and even phone numbers with a select few. Finally, it was time to say goodbyes and call it a day. 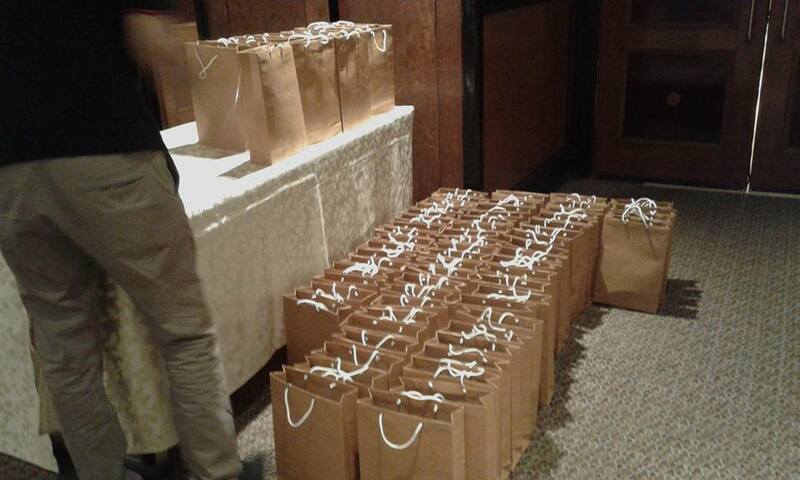 A hamper was handed over to each one of us as we walked out of the hall. 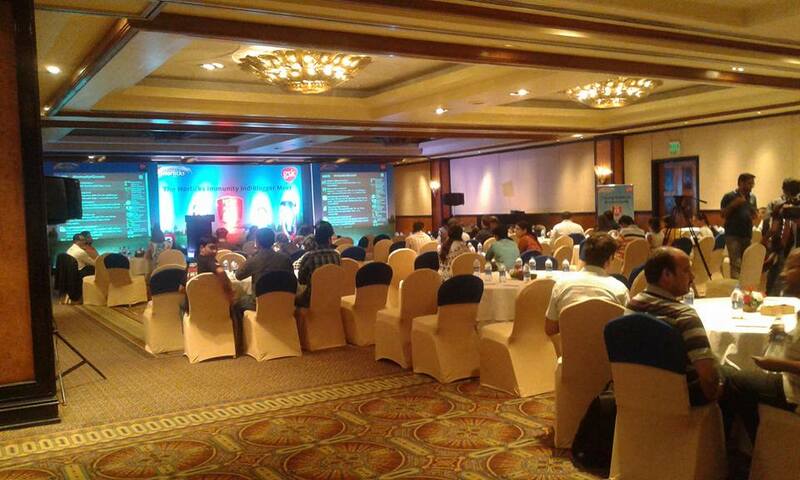 Like all good things, yet another eventful and relevant Indiblogger meet had come to an end. Even as I walked out of the venue, the thought that filled my mind was to ensure that the cause did not end with the evening. As bloggers and mothers, we carry a great responsibility on our shoulders. And we must rise to the challenge of building immunity in our children so that they can grow 'Taller, Stronger and Smarter'. Match Health hosts a library of videos about health topics such as diabetes, heart disease, breathing issues, and weight-loss by expert physicians and enables you to connect with other members. Thank you Renie for going thru it ( I know most ppl wud have dozed off midway ). I had a great time and made some good connections too !! Great event. Thanks for sharing.